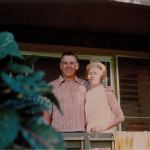 Our History | Warner Companies, Inc.
Warner’s Nursery was established by our grandparents, Dorothy & Bill Warner, in Page, Arizona, back in 1972. 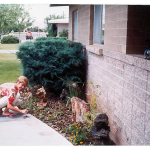 Dorothy’s sons joined the family business in the late ’70s, and grew the landscape and maintenance division throughout all of Northern Arizona. 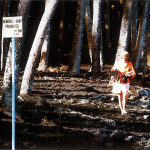 In 1990, they took the leap to expand our retail store to Flagstaff. We opened a tiny little shop on Highway 89, and found there was a need for a larger garden center. Five years later, we constructed our current building, on Butler Avenue, and have continued to provide the same personalized and expert customer service that our grandparents taught us! 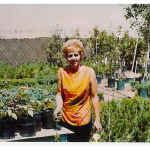 Our founder & grandmother, Dorothy Warner, in our very first garden center in Page, Arizona. Dot collecting natural elements to include in floral arrangements & interior displays. 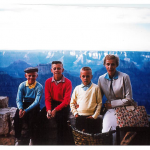 Dot and her Three Sons: David, Fred, & Dugan. 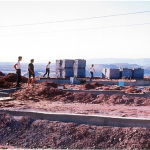 Construction of Dorothy & Bill’s home in Page, Arizona, where they landed to “pioneer a town”.